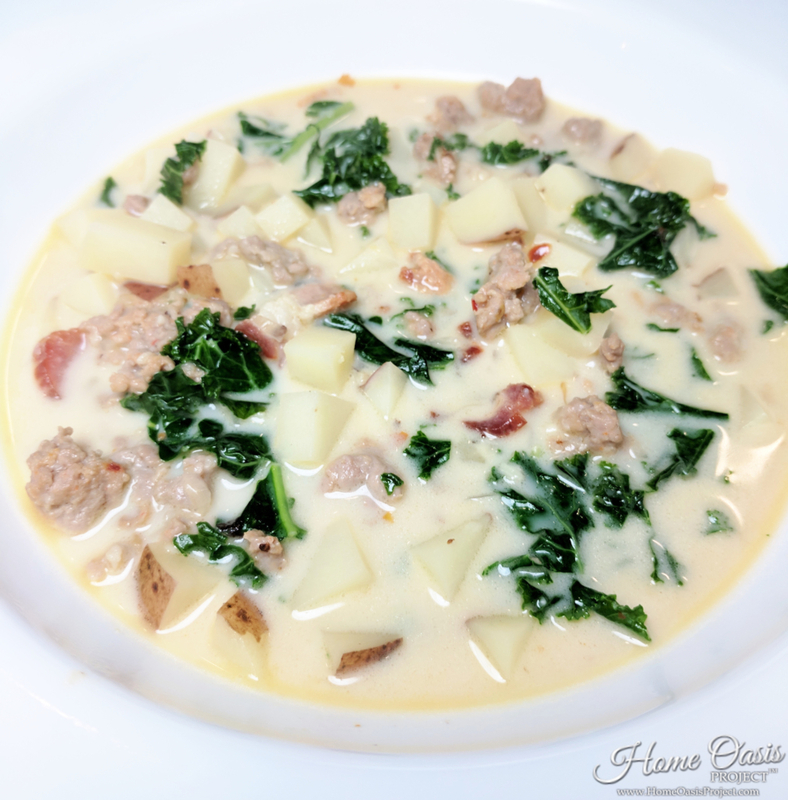 Our Zuppa Toscana soup is a hearty, comforting soup that’s quick and easy to make. It’s loaded with tons of fiber and flavor! Soup is one of my go-to comfort foods. I don’t just like it in the colder weather, but all year round. I love chicken soup, lentil soup, bean soup, pretty much all soups. Olive Garden has a good Zuppa Toscana soup and I had it at a bridal shower once too. It was so delicious and seemed easy to make. 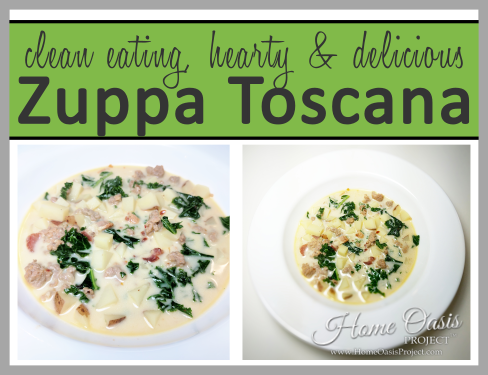 As a result of said bridal shower, I began experimenting in the kitchen to come up with the best Zuppa Toscana soup recipe. You have got to try it if you’ve never had it before. It has such a medley of flavors that go perfectly together – savory and spicy. This recipe makes quite a bit too, so you can feed a large group or have leftovers. I’m all about the leftovers! The less days a week that I have to cook the better! I love soups that are healthy and nutritious. 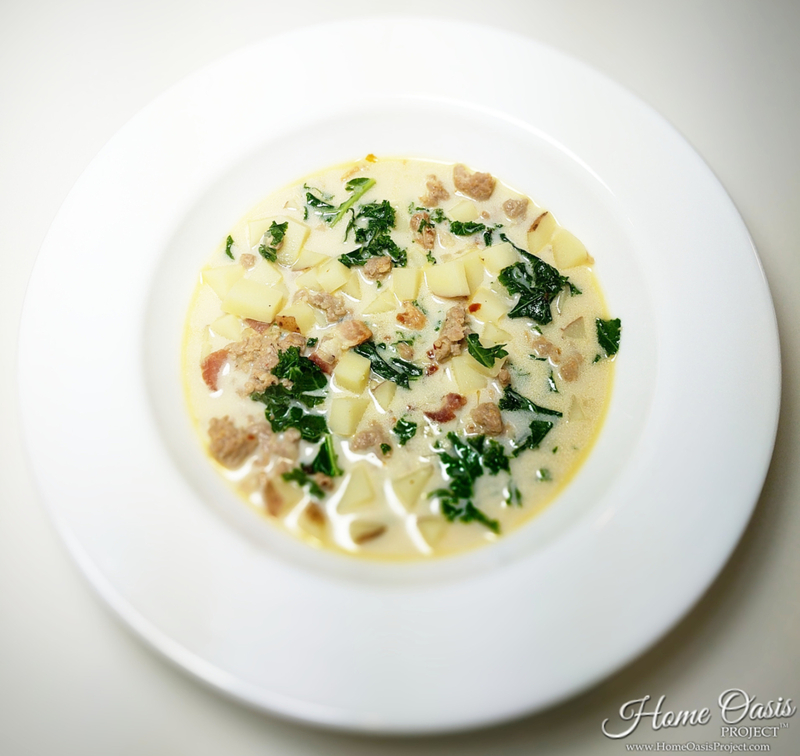 This Zuppa Toscana soup is packed full of protein, veggies, and flavor! Thus, it has become a staple in my house. I can pretty much guarantee this will be a hit among your family and friends. Remove the Italian sausage from the casing. Cook in a Dutch oven or stock pot with the red pepper flakes until crumbled, browned and cooked through. Drain and set aside. Cook the cut bacon in the same pot over medium heat until extra crispy (about 10 minutes). Remove the bacon and save 1 Tbs. of the bacon grease in the stock pot. Add the onion and garlic to the bacon grease and cook until the onions are soft and translucent (about 5 minutes). Add the chicken stock to the pot and bring to a boil over high heat. Add the potatoes and boil until fork tender (about 10-15 minutes). The potatoes will cook through fast since they were chopped small. Once the potatoes are cooked through, reduce the heat to medium and stir in the heavy cream. Add the cooked sausage back to the pot. Mix the kale into the soup just before serving. To receive our Newsletter that includes updates, tips and FREEBIES, enter your email below! We won't send you spam and you can unsubscribe at any time. Hi all! Welcome to our page! We believe in making your home an OASIS. We're all about cooking simple, clean recipes at home; DIYing everything; traveling; photography; technology; crafting; and more. What's life without LOVE & PASSION?! Copyright © 2017-2019 Home Oasis Project™. All rights reserved.